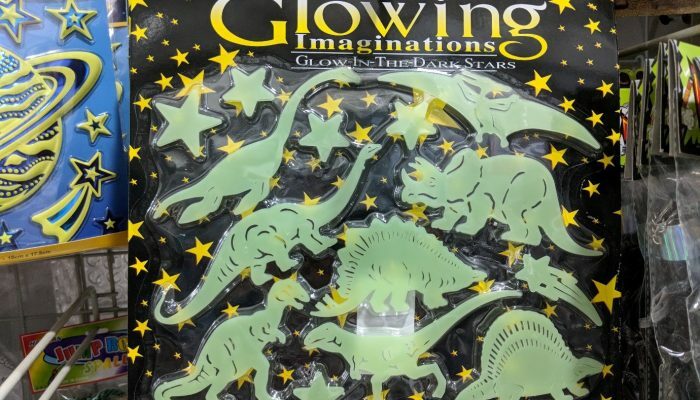 We often come across items that glow after being exposed to ultraviolet light. 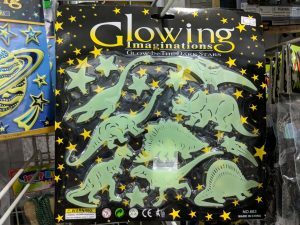 Fluorescent stickers can be bought for the ceilings of bedrooms; fluorescent hands on analogue clocks and watches; fluorescent markings on a car dashboard. In all these examples, there are organic molecules that absorb energy in the form of ultra-violet light and can then re-emit that energy, in this case as visible light. We are talking fluorescence. Or when the emission of light is delayed, phosphorescence. It requires loosely-held electrons to be present in a molecule. The energy provided by ultraviolet light can excite these electrons to a higher energy level, and when the electrons return to a lower energy level, light is emitted. This emitted light has to be at a longer wavelength than the excitation energy, and if it occurs at wavelengths our eyes can detect, then we can see it. Hence the blue-green colours of watch hands and plastic ceiling stars. What about groundwater? It’s the same process: if we shine ultraviolet light at groundwater samples, then they fluoresce due to the presence of organic molecules that are often present. Unfortunately, we can’t see any of this fluorescence with our eyes, as it is emitted in the middle- and long-range ultraviolet, so we must use detectors that can ‘see’ at these wavelengths. But that is relatively easy – charge coupled devices (CCDs), the same as you would find in a digital camera, detect in the ultraviolet. And we can add in improved light emitting diode (LED) technology, which can now produce higher-energy, shorter-wavelength ultraviolet light to excite fluorescent molecules. It’s the same technological improvement that means that you can now buy blue LEDs to decorate your house – have you noticed how they have become increasingly available – and potentially keeps you awake at night. Why does groundwater glow in ultraviolet light? Firstly, it could be from natural organic matter. Organic matter is transported by rivers, which may be recharged to groundwater where rivers are ‘losing’. Or it might be leached from the overlying soil during rainfall recharge of groundwater. Or it might be desorbed from sedimentary material in the aquifer. Natural organic matter fluorescence tends to occur at longer ultraviolet wavelengths (360-400 nm) and provides a convenient way of detecting dissolved organic matter. Secondly, groundwater samples might fluoresce due to the presence of microbial matter. In rivers and wastewater systems, the amount of fluorescence at shorter ultraviolet wavelengths (300-350 nm) has been observed to correlate with the amount of oxygen being consumed (the biochemical oxygen demand, or BOD). It is not possible to distinguish between individual or groups of microbial species, and researchers are still investigating exactly what is fluorescing. However, recent research has shown that there is significant potential in using hand-held fluorescent probes to determine microbial water quality in groundwater. Where there might be faecal contamination of groundwater used for drinking water supply, there is great advantage to this method as an immediate reading is possible in comparison with other methods which typically take 18-30 hours. Thirdly, groundwater which is contaminated by organic matter may be detected if enough of the contaminant is fluorescent. For example, fluorescent whitening agents, also known as optical brighteners, may be added to detergents, shampoo and paper products to make items appear whiter. The molecules are designed to emit light at the blue-violet end of the visible light spectrum, and it counters any yellowing of aging fabric, paper or hair. Hence your clothes appear whiter, your hair blonder. Fluorescent whitening agents are removed during wastewater treatment and degrade in sunlight. But in the case of unlined landfill sites, fluorescent whitening agents can persist in contaminant plumes in the groundwater, making them a useful tracer. So why does groundwater glow in ultraviolet light? It is all to do with any fluorescent organic matter that might be present in groundwater. And thanks to improvements in technology, we can now make measurements of this fluorescence using portable and handheld probes, in-situ, and rapidly. Increasingly adopted by surface water quality researchers and water engineers, is it time for the groundwater community to move on from groundwater flow to groundwater glow? The effects of fire on the surface environment are clear to see. Landscapes are coated in ash. 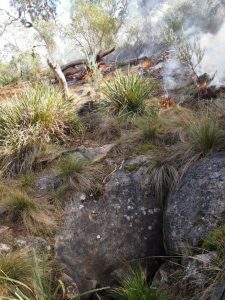 Intense fires can destroy all vegetation and alter soil properties. Less intense fires destroy just the surface leaf litter, grasses and shrubs. Grass fires can be fast moving, destroying buildings and threatening lives. 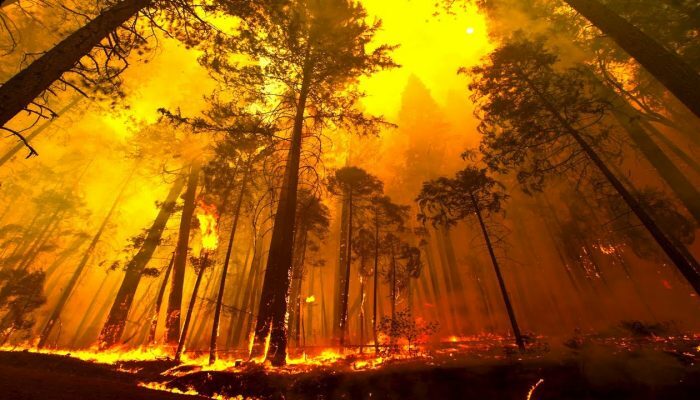 Intense fires can even form their own local weather systems. But what about the effects of fire on water underground? Let’s think about what happens on the surface, and translate that to what is likely to happen to the subsurface. Firstly, ash is burnt vegetation. It is rich in carbon, nutrients and trace metals, and can be mobilised after heavy rainfall. Heavy rainfall events are most likely to cause groundwater recharge as some of the rainfall makes its way down to the replenish the water table. As this happens we should also expect nutrients and carbon to be moved downwards towards the water table, as well as horizontally to rivers. Secondly, wh ere a fire destroys tree cover, then the canopy shading will be lost. We would predict hotter surface temperatures. This could alter the water balance, changing evaporation and also the amount or timing of groundwater recharge. Finally, we would expect increased sediment movement. This could block flow routes to the subsurface, such as fractures and sinkholes. This would change the routes by which water moves from the surface to the water table. Of course, the problem with water underground is that it is hard to see and measure. So how can we observe the effects of fire in the subsurface? We have been using caves in karstified limestone as a way to sample the water as it moves from the surface to the groundwater. In caves, you can monitor the water chemistry and hydrology after a wildfire. If you know when a fire will occur, you can make measurements before and after. And you can investigate the chemical record of past fires preserved in cave stalagmites. What do we see from the cave? We see increased evaporation and decreased recharge in the years immediately after an intense wildfire. We see nutrient flushes from the surface to the subsurface, moderated by vegetation uptake as regrowth occurs. And we have started to compare the stalagmite geochemical signals of fire, cyclones and global warming. We are starting to understand a little bit about the effects of fire on water as it moves through the unsaturated zone of limestone. What about other rock types? What about the groundwater aquifer itself? We need to know more about the effect of wildfires on our subsurface water resource. The fire season is getting longer. A greater extent of the earth’s surface is being burnt. Both will continue to increase with global warming, but how will this affect the water underground? You might remember that the summer of 2015 was extremely dry in large parts of Europe (Figure 1), leading to crop losses, wildfires, drinking water supply deficiencies, and reductions in energy production and navigation (Van Lanen et al., 2016), whether you experienced it yourself or read about it in the newspapers. Based on incomplete information the European Environment Agency already estimates the total economic losses of the event at more than 2 billion Euros (http://www.eea.europa.eu/data-and-maps/indicators/direct-losses-from-weather-disasters-3/assessment). Seventy-five percent of EU inhabitants depend on groundwater for their water supply, which makes groundwater management extremely important. To manage groundwater effectively during drought periods like 2015, data about groundwater levels are needed in (near-) real time. However, observations of groundwater levels are rarely available in real time, even in Europe, one of the most densely monitored areas of the world. In a just published paper, we therefore tested two methods to estimate groundwater drought in near-real time (Van Loon et al., 2017). The first method is based on satellite data from the GRACE satellites (Gravity Recovery and Climate Experiment, grace.jpl.nasa.gov), a cool new pair of satellites that measure the Earth’s gravitational field to estimate changes in the amount of water on Earth. Previous research had suggested that the Total Water Storage (TWS) anomalies derived from GRACE could represent hydrological drought (e.g. 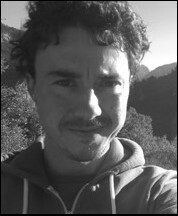 Thomas et al., 2014). With models the TWS anomalies can be decomposed into their compartments, including groundwater storage. 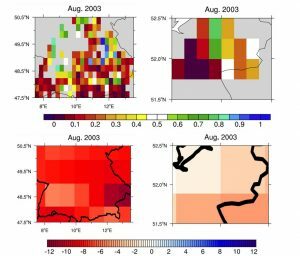 The second method uses a statistical relationship between rainfall and historic groundwater levels, which depends on aquifer properties and has previously been used to study past drought events (e.g. Bloomfield and Marchant, 2013). To test both methods we looked at the benchmark 2003 drought for two regions in southern Germany and eastern Netherlands. First, we used observed groundwater level data from 2040 monitoring wells to calculate the Standardized Groundwater Index (SGI), which ranges from 0 (abnormally dry) to 1 (abnormally wet) (Figure 2a). Interestingly, the SGI reveals the patchiness of the 2003 groundwater drought caused by differences in aquifer characteristics. Quickly responding aquifer systems experienced drought in response to low rainfall in previous months and slowly responding aquifer systems experienced wetness in response to high rainfall in the preceding year (you might be aware of the 2002 summer floods in the same region). GRACE TWS showed dry anomalies in Germany and (to a lesser extent) in the Netherlands (Figure 2b), but the coarse resolution of GRACE prevents it from picking up the high spatial variability in groundwater levels we saw in the observations (Figure 2a). The groundwater storage derived from GRACE TWS by subtracting surface and soil storage gave abnormally wet conditions in most parts of the study regions (Figure 2c), with drier than normal values only in the eastern part of Germany which in the observations was mostly wetter than normal (Figure 2a). Finally, we calculated a form of the SGI based on the response of groundwater to precipitation (Figure 2d). The spatial pattern of this precipitation-based SGI closely resembles the observed SGI (Figure 2a), although it slightly overestimates the severity of the groundwater drought in Germany. Figure 2: The 2003 groundwater drought in southern Germany and eastern Netherlands, derived from a) observed groundwater levels (standardised groundwater index, SGI), b) GRACE Total Water Storage (anomalies with regard to the long-term average), c) groundwater anomalies based on GRACE and model outputs (anomalies with regard to the long-term average), and d) observed precipitation and the relationship between precipitation and groundwater levels based on historic data (standardised groundwater index, SGI). Adapted from Van Loon et al. (2017). We then used the precipitation-based SGI to estimate the 2015 groundwater drought in the same regions (Figure 3). This showed a completely different picture than the 2003 drought. 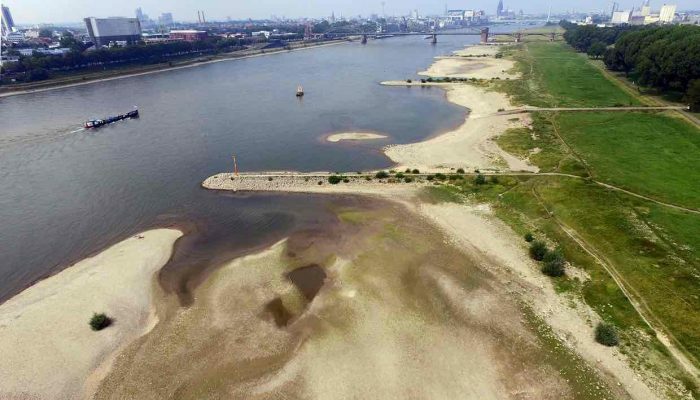 Almost the whole region of southern Germany experienced an extreme drought, whereas the Netherlands was quite wet in August 2015. No patchiness in groundwater levels was observed in 2015, because both short- and long-term rainfall were below average. This means that the 2015 drought was more severe in terms of water resources for drinking water and irrigation because all groundwater wells had low levels, compared to about two thirds in 2003. Figure 3: The 2015 groundwater drought in southern Germany and eastern Netherlands, derived from observed precipitation and the relationship between precipitation and groundwater levels based on historic data (standardised groundwater index, SGI). Adapted from Van Loon et al. (2017). Based on our analysis, we think that using readily available rainfall data and the historic relationship between rainfall and groundwater is a cunning way to monitor groundwater drought at a high enough resolution for water management. However, this technique still has more uncertainties than using real-time groundwater observations directly. 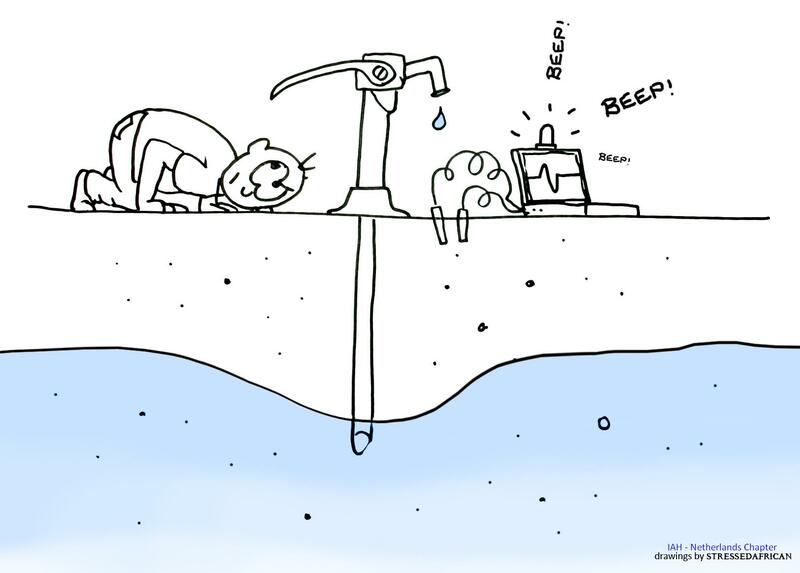 To prevent issues with drinking water supply for the EU’s 380 million people that depend on groundwater, there is a clear need to measure groundwater levels and make them freely available in real-time. The scientific paper on which this blog is based can be found here (http://www.hydrol-earth-syst-sci.net/21/1947/2017/). Bloomfield, J. P. and Marchant, B. P. (2013) Analysis of groundwater drought building on the standardised precipitation index approach, Hydrology and Earth System Sciences, 17, 4769–4787, doi: 10.5194/hess-17-4769-2013. Thomas, A. C., Reager, J. T., Famiglietti, J. S., and Rodell, M. (2014) A GRACE-based water storage deficit approach for hydrological drought characterization, Geophysical Research Letters, 41, 1537–1545, doi: 10.1002/2014GL059323. 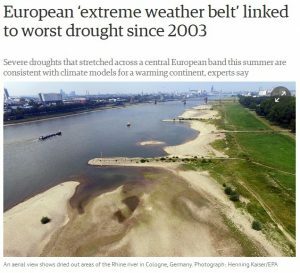 Van Lanen, H. A. et al (2016) Hydrology needed to manage droughts: the 2015 European case. Hydrological Processes, 30: 3097–3104. doi: 10.1002/hyp.10838. Van Loon, A. F., Kumar, R., and Mishra, V. (2017) Testing the use of standardised indices and GRACE satellite data to estimate the European 2015 groundwater drought in near-real time, Hydrology and Earth System Sciences, 21, 1–25, doi: 10.5194/hess-21-1-2017. Global fossil groundwater resources—the grandkids like hanging out with the grandparents!!! Groundwater is the world’s largest family of fresh and unfrozen water, and its members range from young to old. There are toddler groundwaters recharged more recently than the year ~1960. Our earlier research showed that these modern groundwaters make up only a small share of global groundwater stocks (Ref. 1 and Water Canada). But what of ancient ‘fossil’ groundwater—defined as groundwater that first moved under the ground more than 12,000 years ago, before the current “Holocene” time period began? Many studies have discovered fossil groundwaters (Refs. 2-7). 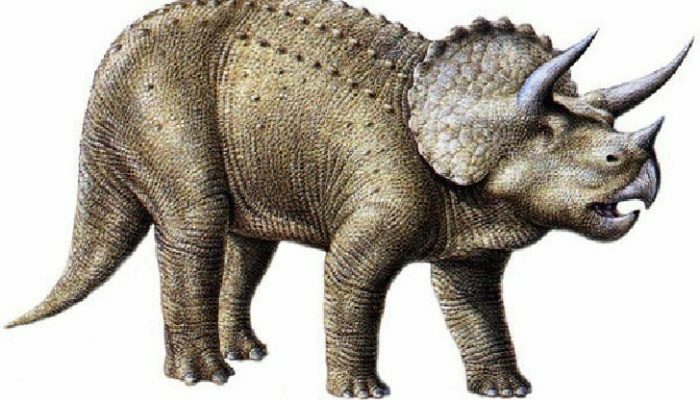 These ancient groundwaters may have first become isolated under the ground during one of the ice ages (~12,000 to 2.6 million years ago), or when dinosaurs wandered the planet (230 to 65 million years ago), or even before complex multicellular life evolved (e.g., more than 1 billion years ago). Our research shows that fossil groundwaters are widespread, based on a compilation of groundwater radiocarbon, which is common in young groundwaters but less common in fossil groundwaters. First, we show that fossil groundwater likely makes up most of the fresh and unfrozen water on planet Earth. Fossil groundwater is common at depths deeper than ~250 meters below the ground. Our finding highlights that most aquifers take a long time to be flushed, implying that most groundwater is not rejuvenated at time scales that are consistent with water management timeframes (~decades). Second, we show that many deep well waters that are dominated by fossil groundwater also contain some modern groundwater. That is, fossil well waters are often mixed up with recent rain and snowmelt. 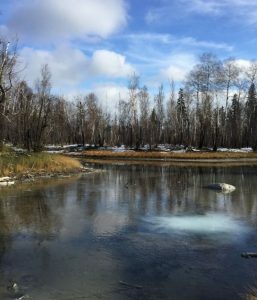 Because some human activities pollute recent rain and snowmelt, our finding implies that deep wells are not immune to the impacts of modern-day land uses on water quality. Back to our family analogy – our two main findings are: (i) ‘groundwater grandparents’ (i.e., fossil water) make up most of the global groundwater family (lots of grandparents, only a few grandchildren), however, (ii) groundwater youngsters (less than ~50 years in their age), are often found to hang out at deep depths with groundwater grandparents. Once in a while, youngsters may carry the consequences of bad modern habits (i.e. contamination) down to the deep depths where the groundwater grandparents live, sullying deep groundwaters once considered immune to modern contamination. 8) Jasechko S, Perrone D, Befus KM, Cardenas MB, Ferguson G, Gleeson T, Luijenjijk E, McDonnell JJ, Taylor RG, Wada Y, Kirchner JW (2017) Global aquifers dominated by fossil groundwaters but wells vulnerable to modern contamination. Nature Geoscience doi:10.1038/ngeo2943. I don’t mean to get your hopes up, but keep them up there. I’m not talking about recording the sonorific excitement that is groundwater flow. And, I’m not talking about the squeak of a pump handle, the gurgling of a spring, the grumble of a generator, or the roar of a drill rig. Rather, I want to share with you some songs that reference groundwater in one capacity or another, though references to specific capacity have yet to be found. Groundwater might not be photogenic …more discussion to follow, but is it musical? A yearning for water/love, deep underground and hard to find. Let’s hope for some recharge to elevate the water table and maybe even support the river’s running free. Warning, this song is different, but it is about groundwater and wonderfully so. “Cold water going down…through the roots, through the mud, through the rocks, through the ground, through the sand, through the Earth and all the land”. Talk about groundwater flow and potential recharge! It’s also cold, fitting the gross expectation that groundwater near recharge areas is cooler (in regional flow systems at least) than further along the flow system. They find a groundwater system that thinks it is a river beneath a subway floor…a classic case of mistaken identity. Sounds like a quiet unconfined karst groundwater system to me. My musical explorations have taught me love is like water. Groundwater? Maybe, depends on its amount, depth, and quality. Wells can be the source of good and bad waters, and we can have some say on whether it’s one or the other. These songs and others (that don’t reference groundwater specifically) bemoan or extol love/water, which comes or goes and can be so uncontrollable. Groundwater can also be a source of contemplation. Water underground is often interpreted as “silent” (in both “Hallelujah Band” and “Once in a Lifetime”), but springs are allowed to burble and gurgle. So long as we have saturated conditions in a simple single-porosity system, I would bet the groundwater flow is generally difficult to hear. But remember, groundwater is under pressure (atmospheric, hydrostatic, or otherwise) and “wants” to break free (Queen references…couldn’t help myself), especially when in confined aquifers. There is at least one more way groundwater systems can invoke contemplation. Back before powered pumps, drawing water from a well took time, and that time could be used to think through the triumphs and trials of life. Maybe that’s one reason why groundwater hydrologists are often excited to get into the field. Quick aside, San Diego has recently started a music festival called GROUNDWATER, where modern house music is the theme. I have not yet sifted through their performers’ lyrics in search of water references, but I would gladly take your help. Words may be in low concentrations. Join my musical adventures in groundwater and share your finds with us in the comments below! Usually, textbooks or lectures start with the theoretical background and basic knowledge of the topic they try to cover. Writing my first contribution to the Water Underground blog I want to take advantage of this less formal environment. I will introduce karst as I and many others around the world see it. As the most beautiful environment to explore and study. Some of you may not be familiar with the term karst, its geomorphology or hydrological consequences. 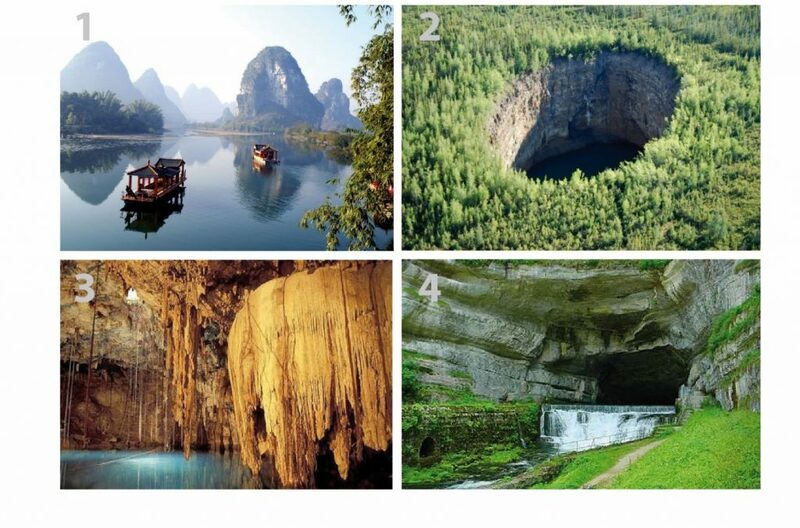 But I am almost certain that most of you have seen the landforms in the four pictures below. Tower karst (1st photo) is typical of tropical regions. The picture below is taken close to Guilin, Southwest China, and I am sure many of you remember James Bond “The Man with the Golden Gun” and the beautiful tower karst islands at which parts of movie takes place (episode 3 will be a special feature about karst in the movies). Tower karst reaches heights up to 300m and often referred to by its Chinese name Fenglin or Fengcong karst, when occurring in a large number. The 2nd photo shows the opposite landform: a huge hole in the forest ground. This is not a crater but a very big collapse sinkhole at Vermillion Creek, Northwest territories, Canada. It has an ellipse shape (60m x 120m) and 40 m below the surface, it has a lake whose depth has not yet been determined. You may not have previously heard the term sinkhole. But on the news one day you will hear stories of holes suddenly swallowing cars or entire houses in Florida or Mexico. If not due to mining, those were most probably collapses that occurred due to karstification. 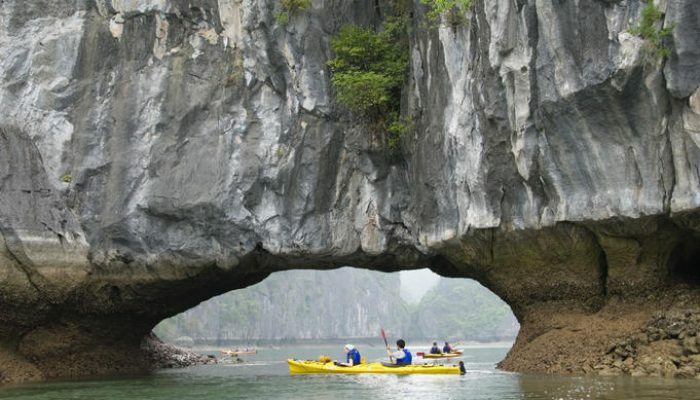 The most popular features of karst are caves, some of them as large as entire buildings. The 3rd photo shows how it may look inside a karstic cave (Kalisuci Cave at Jogjakarta, Indonesia). Note that there are plenty of stalactites and that there is a lot of water that will eventually find its way back to the surface discharging a karstic spring. The 4th photo shows the spring of the Loue River, France, which is one of the largest springs in Europe. The volumes of water coming out easily compare to the discharge of medium size rivers. If you ever saw a spring that big it must have been a karst spring! In the Of Karst! series, I will take you on a journey through more of these amazing characteristics of karst. I will show how its evolution over time can produce the landforms shown here. I will show how karstification affects the resulting movement of water on the surface, in caves systems and in karstic rock. And I will explain why karst is so relevant for our societies. In episode 2 (late June 2017) I will speak of how karst evolves. Episode 3 (early October 2017) will a special feature about karst in James Bond other famous movies. I recently wrote a term paper for one of my graduate classes on the limitations of the water table fluctuation (WTF) method, and I have to say, WTF! 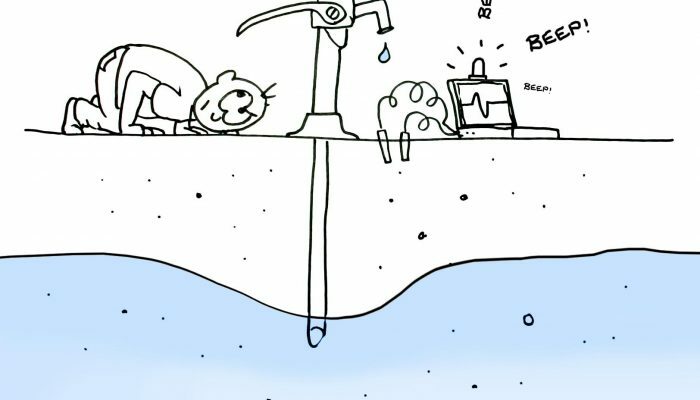 Techniques using groundwater level fluctuations as a means of calculating recharge are very common. With observation well hydrographs and precipitation data, this method can be applied quite simply, requiring no field work or data collection. Although, this is definitely not the method to end all recharge methods for a number of reasons. 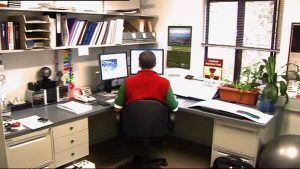 As a newbie hydrogeologist studying the WTF method, the application of the method quickly became convoluted based on its limitations and uncertainties. Developing a good conceptual model of the region is essential for the success of this method, as large uncertainties entail if effects of pumping, proximity to surface water bodies, water table depths, and geology are not considered. With the water table fluctuating based on several factors, it becomes essential to investigate possible influences. The WTF method has two main approaches; (a) to solve for a time series model of recharge, or alternatively, (b) to calculate a long term average recharge value from the groundwater recession constant. 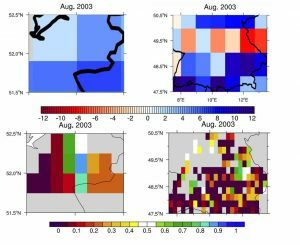 The time series approach is best used to observe fluctuations of recharge in response to precipitation over a smaller temporal scale compared to the long term average recharge value calculated from the groundwater recession constant. Simply ‘plugging in’ the values or using computer programs to estimate drainage recession constant could seriously warp the ‘real’ recharge value. Mark Cuthbert mentioned to me in a discussion that he still prints off the hydrographs and often plots the groundwater recession by hand in order to help visualize the groundwater recession before taking a computing approach. In closing I thought I would share one of my silly ‘WTF! ?’ moments and that ‘oooooohhh’ moment that follows once I figured it out. In Healy and Cook (2002), the formula for recharge is written as R = Sy dh/dt, and later in Crosbie (2005) as R = Dh Sy and Cuthbert (2010) as R = Sy dh/dt + D. There are two things that tripped me up with this method. Firstly, the meaning of the symbols R and Dh varies slightly between papers which is easy to miss, and recharge is either calculated as a rate or a value over a specified time. Secondly, the approach in deriving the groundwater recession constant is also different in all three papers, and should be chosen on the basis of the conceptual model. 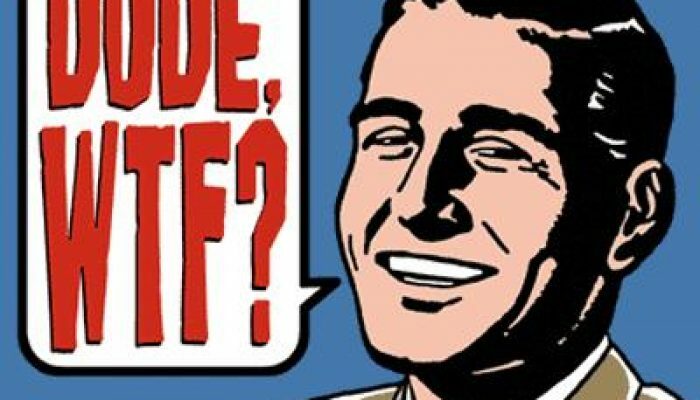 So alas, the WTF can definitely have it’s ‘WTF! ?’ moments, however when the method, possibilities, and limitations are properly understood, this method has the potential of providing a cost effective and non-invasive approach in deriving recharge values. As part of its recent ‘war on pollution’, the Chinese Central Government released a major policy on water pollution control and clean-up, called the ‘10-point water plan’ in 2015. 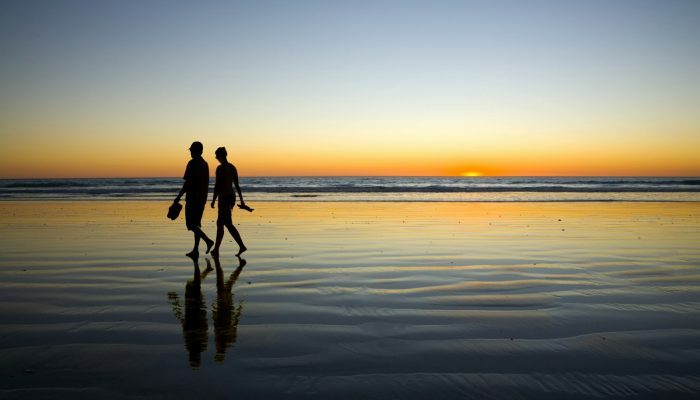 The plan aims to deal once and for all with China’s chronic water quality problems. China’s water quality deficiencies became widely recognised around the turn of the millennium, following publication of seminal works by Ma Jun, Elizabeth Economy and other local and overseas environmental campaigners. 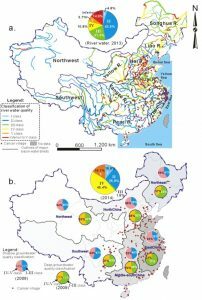 It is now widely acknowledged that chronic exposure to water pollution in China has contributed to the emergence of hundreds of cancer villages, where rates of particular types of cancer that are linked to water pollution far exceed normal population-wide averages. In addition to agricultural pollution and domestic wastewater, in many regions the pollution has resulted from industries that are part of multi-national supply chains, meaning international factors have played an important role. In a recent review paper published in Environmental Pollution, my colleague Dongmei Han and I compiled data from official Chinese government reports to provide a snapshot of the current status of water quality in China’s major river basins, coastal waters and groundwater systems, including shallow unconfined and deeper confined aquifers (Figure 1). 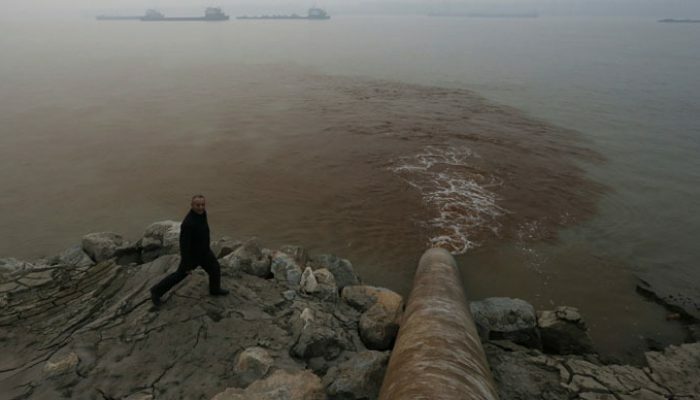 The results are sobering, showing that despite some recent progress, about a third of China’s river monitoring stations and more than 60% of sampled groundwater wells are seriously polluted. These data agree with an internal Ministry of Water Resources report that was briefly made public in early 2016, which showed that more than 80% of the more than 2000 monitored shallow groundwater wells in northern China’s plains areas contain serious pollution and that the aquifers they monitor are unfit to supply drinking water. Figure 1 – Status of water quality in China based on recent government statistics. a) Surface water, ranked according to the 6-class water quality classification standard. b) Groundwater, ranked using the 5-class system in 6 sub-areas of China, including shallow and deep groundwater. Overall percentages of sampled stations/wells in each water quality class are shown as large pie-charts; percentages in yellow and red on small pie-charts indicate proportion of samples in the lowest two classes (IV & V) for shallow and deep groundwater, respectively. Both maps have been overlain with the locations of known ‘cancer villages’. In addition to the government data, we also targeted the research literature and compiled as many datasets as possible reporting concentrations of nitrate in shallow and/or deep aquifers throughout China. Compiling these data from over 70 different sources provides greater local detail about the severity of groundwater pollution (Figure 2). We chose nitrate as an ‘indicator pollutant’ because it is widely measured, easy to detect and highly water-soluble. The presence of nitrate in a sample is often an indicator that other pollutants may also be there. The results indicate that all shallow aquifers sampled contain nitrate above the typical natural background level (approximately 1 mg/L nitrate-N or 4.5 mg/L nitrate as NO3– ion), indicating some degree of pollution. Of these 36 aquifers, samples from 25 contained nitrate concentrations exceeding the US EPA maximum contaminant level (MCL) of 10 mg/L nitrate-N. Worryingly, all but one of 37 deep or karst aquifers examined contained nitrate above the background level, while 10 of these aquifers had samples above the MCL. In five of the shallow aquifers and four of the deep aquifers, median nitrate concentrations also exceeded the MCL, meaning half of all wells in the aquifer pump groundwater with nitrate levels exceeding the maximum safe level. We also compiled groundwater stable nitrogen isotope values of the nitrate where they were available. These isotope data help to identify the major sources of nitrate pollution such as chemical fertilizers, soil nitrogen, manure and domestic wastewater, as each potential source can have a unique isotope ‘signature’. Nitrogen isotopes can also provide evidence of microbes breaking down pollution; this is important when considering whether the nitrate will naturally degrade, or if engineered clean-up strategies are required. Figure 2 – Nitrate concentrations in groundwater from major groundwater systems in China: a) Location map of the 52 study areas from which data were compiled; b) & c) Boxplot distributions of nitrate concentrations (as N) in shallow and deep groundwater throughout China. Boxplots show median, inter-quartile range and 10th and 90th percentile values. Data is compared to the United States Environmental Protection Agency maximum contaminant level (10 mg/L) and a background concentration of 1 mg/L Nitrate-N (equivalent to approximately 4.5 mg/L nitrate as NO3- ion). Perhaps the issue of greatest concern from our review was the observation that in addition to being ubiquitous in shallow groundwater (as is perhaps expected in areas of intensive agriculture or wastewater pollution), nitrate pollution also frequently appears in deep wells (drilled to >100m below the surface) throughout China. 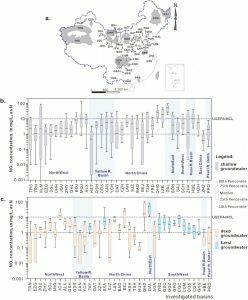 Normally, the time taken for water to reach these confined aquifers is long, and much of the deep groundwater in China has been dated using radio-isotopes, which indicate that it was recharged thousands or tens of thousands of years before the present. The presence of nitrate above natural background levels in these groundwater bodies suggests that pollution is undergoing rapid ‘bypass flow’ (e.g. taking short-cuts) from the surface into deep aquifers. The Chinese Ministry of Water Resources has made public statements indicating it believes that China’s deep aquifers are safe drinking water sources, isolated from surface pollution effects due to natural geological barriers (called ‘aquitards’ by hydrogeologists). However, our data call into question this assumption. A similar finding was recently made by a group at the Chinese Academy of Sciences, who conducted a geochemical survey of tap water from various sites around Beijing. Most of Beijing’s water supply plants pump from deep groundwater wells around the city. The survey found that a significant number of samples contained nitrate and other pollutants, consistent with our findings that contamination is reaching deep aquifers through short-cut pathways. 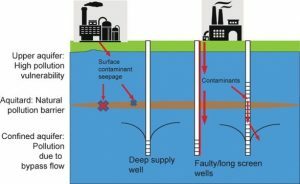 The most likely explanation is that polluted water is flowing from shallow depths down preferential conduits, such as poorly constructed or badly maintained wells, and bypassing natural geological barriers (Figure 3). It is estimated that over 4 million wells have been drilled in China’s northern plains alone since the groundwater boom of the 1960s and 1970s. However, only a fraction of these are registered with the government or maintained. Clearly, a program to identify and plug leaking and abandoned wells is needed to stop further pollution of China’s precious deep groundwater reserves. Figure 3 – Mechanism by which faulty wells can allow shallow contaminants to bypass into deep aquifers, compromising water supply safety. China has millions of unregistered wells that may act in this way, and depends on deep aquifers for much of its drinking water. We hope that our research highlights the scale of China’s water pollution challenges, and can help the public and policy makers better understand the extent and mechanisms of groundwater pollution – a problem which is causing serious human health effects. While addressing the problem of pollution in deep aquifers will be difficult, it is too important a task to ignore, as these aquifers supply drinking water to millions of Chinese people. Currell, M.J., Han, D., Chen, Z., Cartwright, I. (2012). Sustainability of groundwater usage in northern China: dependence on palaeowaters and effects on water quality, quantity and ecosystem health. Hydrological Processes 26: 4050-4066. Hydrogeologists are a diverse group, in part because we come to this discipline from so many different paths. We come from different academic programs in engineering, geological sciences and environmental sciences. These differences in backgrounds create a diversity of perspectives, which enriches hydrogeology and allows for dynamic collaborations. Engineers and geophysicists are known for bringing quantitative skills to hydrogeology, while geologists shine in problems involving stratigraphy, structural geology and embrace uncertainty. Geochemists and environmental scientists are often stronger in contaminant hydrogeology. However, each of these backgrounds also have their deficiencies. This is underscored by looking at programs in civil engineering and geology, which are two of the most common undergraduate degrees among hydrogeologists. Aside from foundational math and science courses the first years of these programs, they usually only share an elective course in hydrogeology. A review of hydrogeology courses covered by Gleeson et al. (2012) showed that aside from a few topics, these courses vary substantially in their content. This is further complicated by how professionals are licensed in many jurisdictions, which is often based on these academic programs rather than whether someone has the capacity to practice hydrogeology. Engineers are required to have engineering fundamentals in areas such as statics, dynamics, and engineering design, along with competency is areas such as structural and transportation engineering for civil engineering. Geologists receive professional registration based on core competencies in subjects such as mineralogy, sedimentology, paleontology and structural geology. Registration for fields more closely aligned with hydrogeology, such as environmental geoscience and geological engineering may consider hydrogeology as a core requirement. In general, this means that somebody registered as a professional engineer or geoscientist might be a hydrogeologist but they also may have very little knowledge of hydrogeology. 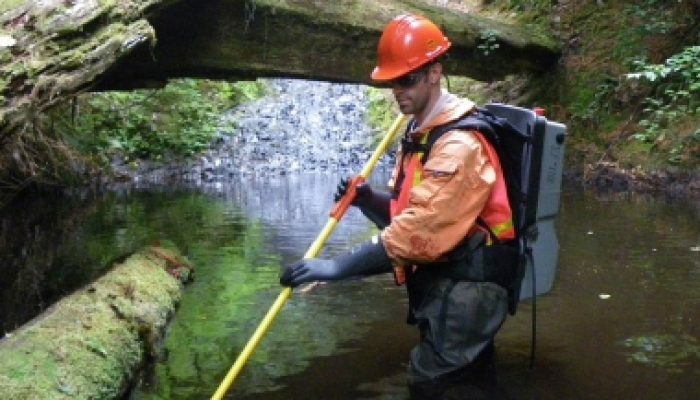 Environmental scientists and similar fields might be better prepared to practice hydrogeology in some instances but professional registration is not as common. Additional material on porous media, geotechnical engineering and hydrology are frequently also covered. Anyone with a background in these areas is probably a hydrogeologist. However, there are still some grey areas. Can someone who doesn’t understand numerical models be a hydrogeologist? What about someone who has never done field work? Where to draw the line is unclear and may differ substantially based on who is asking the question. However, if the goal is to promote competent practitioners and researchers in hydrogeology, the traditional paths through engineering and geoscience may be less than ideal. The requirement of knowledge outside hydrogeology at the expense of core knowledge may be holding us back. On the other hand, a great number of us did not enter university with the goal of becoming a hydrogeologist and maybe we need these more traditional programs as gateways.